Expansive 3 bed/3 bath home in the heart of the West Village. Nearly 2800 square feet, this is a rare WV condo that feels like a house, two levels, two outdoor spaces, tons of storage and possibilities. 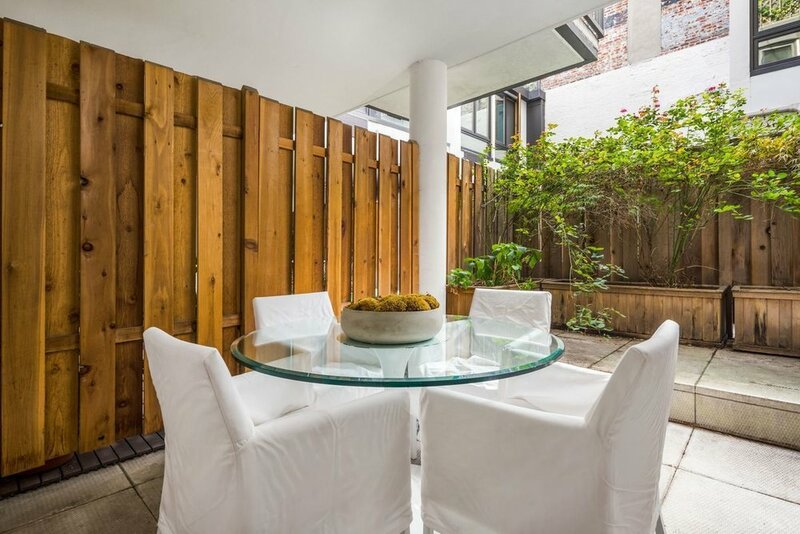 Located on a landmarked cobblestone stretch of beautiful Jane Street in what is consistently voted Manhattan's most desirable neighborhood. Beautifully designed and impeccably crafted, this apartment is a must-see. After passing through the gracious foyer, the upper level opens up into a 40 foot expanse of living and dining space, culminating in a sliding door with access to the stair up to a large private patio. The two large skylights above the living room bring in warm southern light, and the kitchen is spacious and modern. Chef's kitchen features Viking appliances and wine fridge, outside venting stove, and a large island workspace which opens to the dining area. At the front of the upper level is a large bedroom with massive closets and ensuite bath with a deep soaking tub and Waterworks fixtures. The lower level (below street level but at grade with back courtyard) features a spacious den as you come down the staircase, which connects to two more bedrooms. 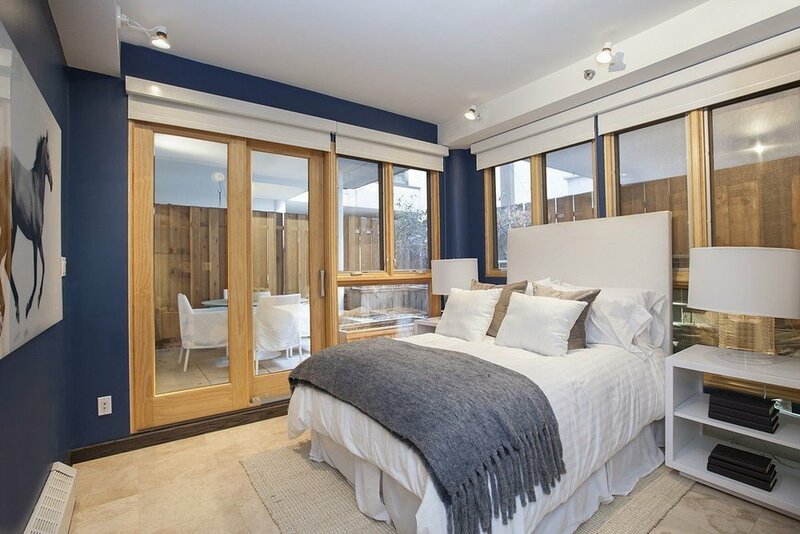 The south facing bedroom is all windows and opens up onto the second outdoor space – an airy landscaped patio (also accessible via the den). Through the other end of the den a hallway leads you past a wall of extra closets, a laundry room, another beautiful marble bathroom, and ultimately to a large bedroom with high ceilings and another skylight. 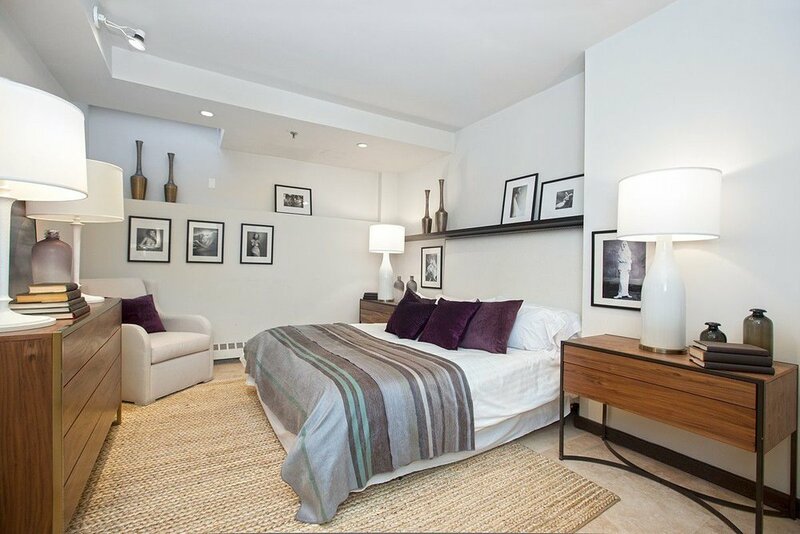 This fantastic location is situated just steps to Hudson River Park, the new Whitney, the Highline, Chelsea Market, Meatpacking District and all the amazing restaurants and shops the West Village has to offer. Subway access is close at both 14th Street stops of the ACE or 123 lines. Zoned for PS 41 public school.Super low monthlies less than $1/ft2. Special assessment of $182.64 that ends in May of this year.